'Sports Day' = recruiter team building at its finest! Who’d of thought it? 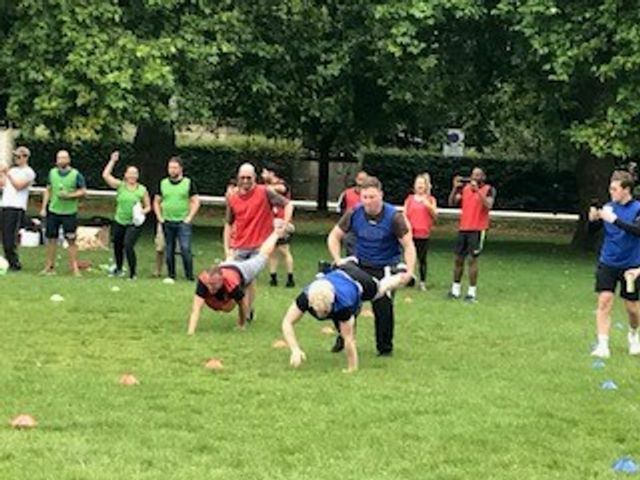 The ultimate example of team building across a sales environment is ‘Sports Day’! Having worked at Salt for nearly 5 years, I’ve witnessed some of the plushest incentives there are in the industry… from Vegas to Marbs; and from skiing whilst hanging out in a plush chalet, to our next global incentive – Bali! As you can imagine, we like to reward outstanding work, hence why we are not afraid (and will always continue) to put our money where our mouths are and push the boat out. However, on the other hand, it’s refreshing to see that when we do the opposite - and keep things simple (and dirt cheap); it’s great to see the ultimate demonstration of team spirit! Now in the 2nd year since its inception, ‘Sports Day’ is fast becoming a Salt tradition… one that I can only imagine will continue. Who would have thought that an egg and spoon race or a tug-of-war challenge would in still the level of passion that they do? I suppose the key is that it’s not about being a high-end athlete (I mean bean bag balancing on your head isn’t about speed is it? ); what’s also key is that you mix everyone up! Even better is that you can get ALL involved… and that’s everybody – companywide; from admin support to our chairman, Paul. Things change in companies all of the time, but this is a constant that hopefully will remain. I suppose the main point I’m trying to say is that some of the simplest things (that aren’t about splashing the cash); can be just as impactful to a culture as an all-expenses paid trip several thousand miles away. Also, the misconception that recruiters are just about the money and lifestyle is often a far cry from reality. However, fiercely competitive (particularly at the relay race), we are! But I wouldn’t change that for a moment. Do we still need to talk about 'Women in Technology'?